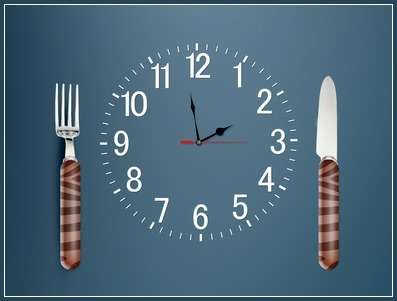 Intermittent fasting has been practiced for centuries but is now making a pretty big comeback. Why? Because research is starting to show its innumerable benefits. One of the longest living men in the world, Walter Breuning, actually practiced intermittent fasting. In fact, he attributed his good health to it. He passed away in 2011 at age 114, but his life can certainly be an example for all of us today. If you've ever thought about fasting, you may want to seriously give it a chance. After all, it may actually improve your health. 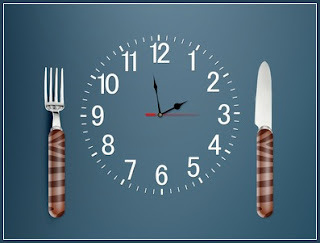 There’s no exact way to do it, but basically intermittent fasting involves eating normally during most of the week and picking a few days to fast (usually 2). Some people eat a quarter of their usual daily calories while others skip one meal during the day. Water and tea can substitute a meal. To maximize the fasting effect, people will minimize their carbohydrate intake during the fast. This helps the body burn glucose so that once reserves run out, it could ultimately burn fat. Who knew fasting could do this much? Among the good genes are the SIRTUINs, which regulate life span and cell death. All animals possess these genes which turn on during times of famine. Okinawa, an island off the coast of Japan, has some of the longest living people in the world. Worldwide, they have the largest concentration of centenarians. But one of the most popular supplements that can help is resveratrol.16 This antioxidant is found in red wine and is among the most powerful activators of the SIRTUINs. Ageing Res Rev. 2008 Jan;7(1):43-8. PLoS One. 2013 Jun 3;8(6):e66069. Rev Assoc Med Bras. 2013 Mar-Apr;59(2):167-73. Exp Gerontol. 2012 Dec 23. pii: S0531-5565(12)00321-X. Nutr J. 2012 Nov 21;11:98. Br. J. of Diabetes and Vascular Disease. 2013. Mar 11; 13(2):68-72. Exp Gerontol. 2013 Apr 29. pii: S0531-5565(13)00118-6. J Gerontol A Biol Sci Med Sci. 2003;58(3):212-219. Indian J Community Med. 2009 October; 34(4): 273–275. Arch Biochem Biophys. 2010 Sep 1;501(1):79-90. Curr Neurovasc Res. 2009 Feb;6(1):70-81. How long should a fast be to causes a change in your gene expression? I do IF because i skip breakfast, but i eat dinner late so my fast is only about 16 hours. but i do it 6 days a week, would this give any gene expression change? Sandy Tree - We appreciate the compliments. Thanks for reading!